Whalers and sealers working out of Launceston had been visiting the coastal areas around Port Fairy Bay throughout the 1830s and some had set up camps and huts during their stays. The informal settlement situation at Port Fairy Bay changed dramatically in 1843 when James Atkinson formally acquired title to 5,120 acres west of the Moyne River where he established the new township of Belfast. The few existing settlers at Atkinson's new town of Belfast had no rights to title to their land, but Atkinson quickly established leasing arrangements in order to provide some commercial return to Atkinson and his partners and to encourage further settlement. During the 1830s, Crown Land outside Atkinson's Special Survey was also taken up informally with pastoralists and agriculturalists controlling large areas of land. When the government cancelled grazing licences on land bordering Atkinson's Belfast Survey in 1846, Atkinson consolidated his land holdings by purchasing large areas of land adjoining his existing Special Survey. On a part of his newly-purchased outlying land, Atkinson entered into a lease with Charles Mills, a member of the Port Fairy Bay pioneering whaling and sealing Mills family. Mills had apparently been farming the land from at least as early as 1843. 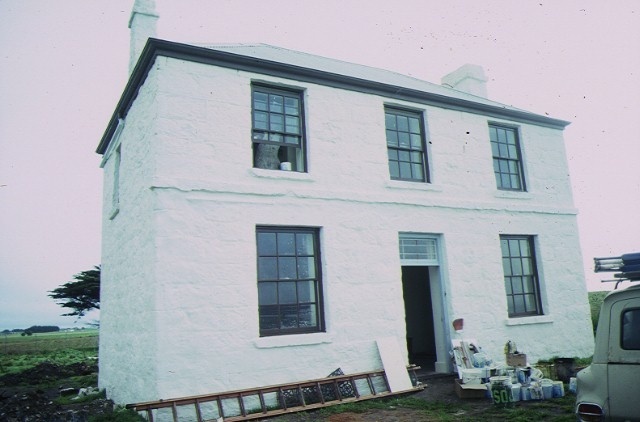 Charles and his brother John Mills had initially been sealers and whalers operating out of Launceston, but had gradually changed their domicile to Port Fairy. Charles first lived on Griffiths Island, and then occupied the site in Belfast where his brother John built a cottage [Captain John Mills House VHR 0253] before moving to his newly-acquired farm lease. No precise construction date for Charles Mills's house, initially known as Lagoon Farm, has been established but it was most probably erected between 1846 and 1849. Mills leased part of his property to his brother-in-law James Glare who named his farm Woodbine. Sometime after the death of Charles Mills at Lagoon Farm in 1855, the two farms came under the one ownership and Woodbine absorbed the old Lagoon Farm, and it is by that name that the Mills homestead is known today. The property remained in the ownership of the estate of James Atkinson until 1875 when it was purchased by A H Knight of Alison and Knight, influential Port Fairy land-owners and flour millers. During the late 1880s, Knight experienced financial difficulties and the Korongah Estate Co Ltd land syndicate, of which land-boomer and politician Thomas Bent was a director, purchased the Woodbine property. Grand plans for land subdivision failed and in 1893, the interrelated Port Fairy farming families Quirk and Maloney bought Woodbine. The house appears to have been sporadically inhabited from this time and remained substantially unchanged from the time of Charles Mills' occupation, apart from a the replacement of the original veranda with one of an early 1900s appearance. By the 1960s, Woodbine had been abandoned and the house fell into disrepair. Recognizing the historic value of Woodbine, the National Trust of Australia [Victoria] purchased the property to arrest its decline and undertook restoration work before selling Woodbine back into private ownership. The property comprises Woodbine, a double and single storey house, and a stable building which has been reconstructed in recent times. The five room, two storey house with a single storey kitchen wing has hip roofs originally with a shingle roof but now clad in corrugated iron. The house is built of sawn ashlar limestone with rubble infill. The construction of the house reflects a relationship with the vernacular traditions of Tasmania. The original stair has been replaced and much of the interior has been reconstructed as close to the original detail as possible. Woodbine is of architectural, historical and archaeological significance to the State of Victoria. 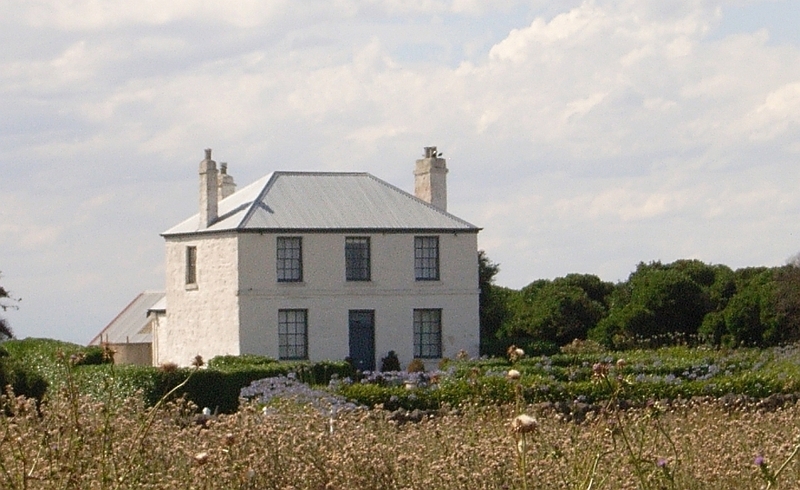 Woodbine is of architectural significance as a rare example of a house of the 1840s which is illustrative of a vernacular mode of building in the coastal region from Warrnambool through to Robe in South Australia. Stylistically, the house reflects the persistence of Tasmanian building vernacular building construction practices through its close eaves, sawn ashlar limestone construction and particular forms of chimney and fireplace construction. Woodbine is of historical significance through its association with Charles Mills, a son of a colonial official and a member of the pioneering Mills family, early whalers, sealers, coastal traders and farmers who were prominent in the settling of the western district of Victoria. Woodbine is of archaeological significance for its potential to reveal archaeological material relating to the early construction and occupation of the place. It is likely that the sub-floor deposits contain artefacts and remnant architectural features, including fireplaces. It is also likely that archaeological remains of the veranda, out-houses, garden and grounds features still exist. All of the buildings and land included in the Register Book as Volume 9144 Folio 076. Whalers and sealers working out of Launceston had been visiting the coastal areas around Port Fairy Bay throughout the 1830s and some had set up camps and huts during their stays. The informal settlement situation at Port Fairy Bay changed dramatically in 1843 when James Atkinson formally acquired title to 5,120 acres west of the Moyne River where he established the new township of Belfast. The few existing settlers at Atkinson’s new town of Belfast had no rights to title to their land, but Atkinson quickly established leasing arrangements in order to provide some commercial return to Atkinson and his partners and to encourage further settlement. During the 1830s, Crown Land outside Atkinson’s Special Survey was also taken up informally with pastoralists and agriculturalists controlling large areas of land. 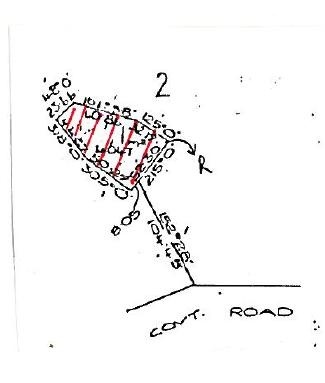 When the government cancelled grazing licences on land bordering Atkinson’s Belfast Survey in 1846, Atkinson consolidated his land holdings by purchasing large areas of land adjoining his existing Special Survey. 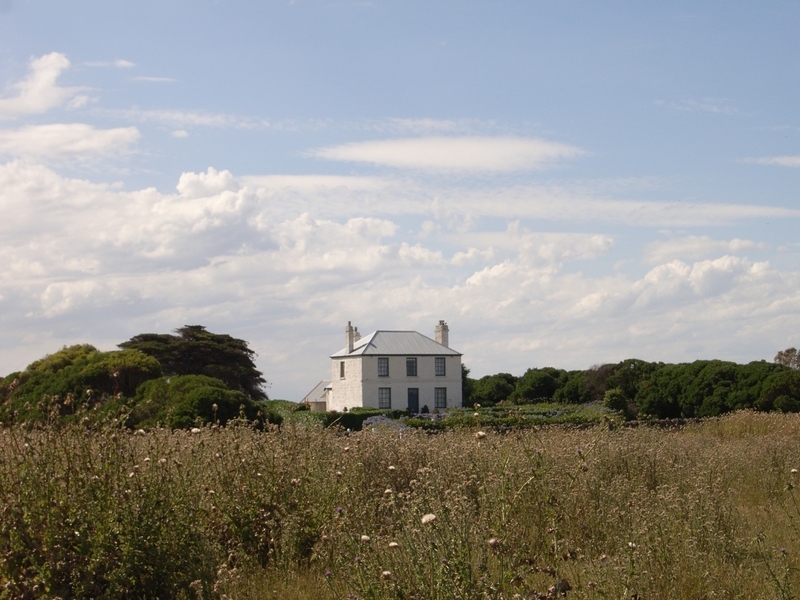 On a part of his newly-purchased outlying land, Atkinson entered into a lease with Charles Mills, a member of the Port Fairy Bay pioneering whaling and sealing Mills family. Mills had apparently been farming the land from at least as early as 1843. No precise construction date for Charles Mills’s house, initially known as Lagoon Farm, has been established but it was most probably erected between 1846 and 1849. Mills leased part of his property to his brother-in-law James Glare who named his farm Woodbine. Sometime after the death of Charles Mills at Lagoon Farm in 1855, the two farms came under the one ownership and Woodbine absorbed the old Lagoon Farm, and it is by that name that the Mills homestead is known today. The property remained in the ownership of the estate of James Atkinson until 1875 when it was purchased by A H Knight of Alison and Knight, influential Port Fairy land-owners and flour millers. During the late 1880s, Knight experienced financial difficulties and the Korongah Estate Co Ltd land syndicate, of which land-boomer and politician Thomas Bent was a director, purchased the Woodbine property. Grand plans for land subdivision failed and in 1893, the interrelated Port Fairy farming families Quirk and Maloney bought Woodbine. The house appears to have been sporadically inhabited from this time and remained substantially unchanged from the time of John Mills’s occupation apart from a the replacement of the original veranda with one of an early 1900s appearance. By the 1960s, Woodbine had been abandoned and the house fell into disrepair. Recognizing the historic value of Woodbine, the National Trust of Australia [Victoria] purchased the property to arrest its decline and undertook restoration work before selling Woodbine back into private ownership.